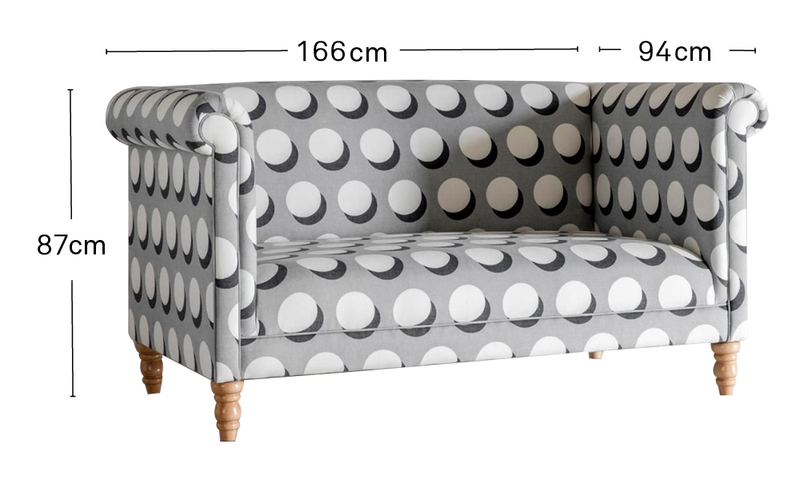 A delicately regal sofa that's the perfect size for two. For a more formal sitting room where all the entertaining happens, or pride of place in an entrance hall. Fixed seat and back foam cushions create satisfyingly clean and pretty lines. Please note that seams may vary depending on which fabric you choose. The Simon comes in over 100 fabrics, from deep velvets to fresh linens - all home delivered within 5 weeks. Why not include some scatter cushions in the same fabric as your sofa? We offer single cushions and sets of two that'll be delivered directly with your order.